When you reach the point in your career when you know it is time to make a move, finding the right opportunity can be time-consuming and difficult. Many top-level executives find that using headhunters is the best way to start when seeking positions such as president, CEO, or other senior management titles. When you consider using headhunters, it is important to realize that they are not exactly like employment agencies, which set out to find you a job. In contrast, they are hired by companies that are searching for candidates with particular talent. When you work with a headhunter as a candidate, you are presenting your qualifications in hopes they will have a match with one of their active clients or with someone in their database. To make best use of a headhunter, you should plan ahead. Headhunters, or executive recruiters as they also called, are not in the business of helping those who have lost their way in the corporate world find a new direction. If you are pondering a career change to a different field or have that revolve around your personal are professional life, you should seek input from a job or personal counselor. An executive recruiter is unlikely to hold your hand through your life crises. Since a headhunter is working according to strict criteria from the client, he or she wants to make sure that you will fit seamlessly into the client’s organization. Make sure to be open with headhunters about what you want, your geographic preferences, your personal obligations, your management style, and of course your credentials. The recruiter will advance your case with the client if you are a good fit or keep your resume in mind for future opportunities. Your recruiter will not know how to proceed, however, unless you are up front about everything that is important to you in a job. Since headhunters are paid by clients to expediently find good candidates, they usually work with those who already have jobs. What’s important to keep in mind is that even if you feel your job is unstable, don’t leave until you find a new one. As a professional, you may have had the experience of being recruited by a headhunter when you were not actively seeking a position. If you get to the point where you do want something new, be proactive. The headhunter may not be able to get you a job when you need one because they may not have any clients that need someone with your talents at the time. Make using recruiting firms only part of your job hunting strategy. Working with recruiters can open your eyes to job opportunities that you did not know existed, but for the best results, keep in mind that these professionals are first working for their clients. 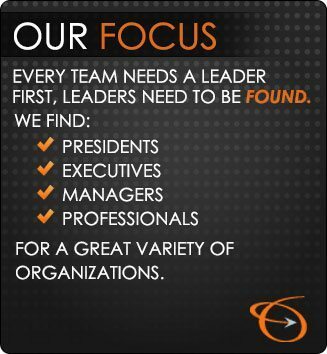 Present yourself as the solution to their clients’ staffing needs to find success.